RISK: Taking out a roof warranty is essentially another form of insurance paid for at the time of installation. Keeping and maintaining a roof is essential to the structure of any building. Having a roof warranty can help with keeping peace of mind. 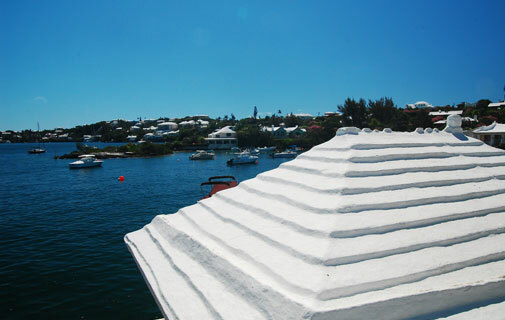 The Bermuda Sun spoke to Kaissa managing director Charles Dunstan about what a roof warranty entails. As with certain other elements of construction, a roofing system is deemed of such critical importance to the long-term life cycle of a building that it requires extra assurance of correct construction and installation. Ordinarily, this risk is assumed by the building insurer but, more and more, the installer and the roofing system manufacturer are taking on this risk as a sign of their commitment to excellence in the design, manufacture and execution of the roof system installation. Essentially, a warranty is another form of insurance, the cost of which is paid for at the time of installation. Manufacturers pass this risk on to their insurers. For this reason, it is insurance companies that have driven the industry forward in improved specifications and quality control. Factory Mutual Insurance is one such leader in property insurance. FM’s business approach is centered on the belief that property losses can be prevented or mitigated. FM Global engineering personnel regularly visit insured locations to evaluate hazards and recommend improvements to their property or work practices to reduce physical and financial risks if a loss occurs. They have taken the initiative in testing and approval of a wide range of building elements, including in depth testing of roof systems. In North America, their Roofnav system is a recognized source for approved roof system ratings. Similarly, the American Society of Civil Engineers (ASCE) issue standards for engineering performance for various building elements, such as roofs. These are published for use by architects and specifiers in design of the appropriate roof for a property development. What types of roof warranties are available? They can also vary in coverage. Some are simply material warranties, covering only the material to last for its stated life cycle or at least warranty period. Some are labour warranties, backing up the installation for a stated period of time, usually no more than five years. Or there are full system warranties, which cover both material and installation for a stated period. What doesn’t a warranty cover? In a material only warranty, the installation labour is excluded. If the roof material fails, the owners recourse is limited to replacement of the cost of material only. In a labour warranty, the material cost may be excluded. A full system warranty may have various limits declared within its terms that the consumer should examine and be aware of. For example, each roof project should have performance requirements outlined in the specification documents that are tied to one of the rating systems mentioned above, such as FM or ASCE. There will be certain parameters on the performance of the roof pertaining to wind uplift, vapour permeance and thermal resistance. These performance requirements have to be clearly identified and quantified at the outset in order to qualify for coverage. There are limits on all elements of risk. Wind uplift coverage will be limited to 120mph of wind speed. Warranty coverage will exclude damage from wind blown debris. At one time exclusions often made reference to the general phrase “Acts of God”. Lately this generality has been replaced by more specific terms and requirements, as the insurers tighten up their risk exposure. Following significant storm damages, much investigation and research goes into determining what factors led to the demise of a failed roof system. From this research, new techniques and standards are created to mitigate the risk of failure in the future. Once a manufacturer knows the risk is mitigated, they can offer the assurance of a warranty to ensure the roof system is designed and installed correctly. The existence and the extent of coverage says to the property developer that the roof system has been designed and installed to a standard that the manufacturer and installer will stand behind. What are the benefits of having a roof warranty? The roof warranty can also be useful in indicating maintenance cycles. In the case of a Bermuda ‘K’ Roof system (widely known as the SKB system), the topcoat requires reapplication every five years in order to continue protection for the base assembly. For this reason, the warranty carries a duration of five years, and becomes null and void unless this regular maintenance is undertaken. The warranty term builds in budgeting expectations for the property owner for maintenance and replacement of this major building element. What are some of the issues that can arise with a roof that a warranty will cover? The most vulnerable element of any roof system is the edge termination. FM’s Roofnav rating system will specify details on fastening and adhesion for the perimeter termination of all certified roof systems. In the case of a roof failure, the resulting investigation will usually begin at the perimeter. Unless it can be proven that the perimeter termination was not installed according to the specification, the failure will be covered by the warranty. How do people go about filing a claim in the event of an issue with their roof? Instructions for claims on the warranty will usually be included in the standard terms of the warranty document. The developer should familiarize himself with the document in case he ever needs to activate the terms. Initially, this is no different than filing a claim with any insurer. There will be some burden of proof involved with an ensuing investigation, but this will be borne by the warranty provider. Kaissa Limited is located 117 Front St. They can be contacted on 495-4242.